Made a quick Walmart run this morning as Little Man was down to his last juice box for school. Picked up a few things while I was there. -Lehigh Valley Half & Half pint $1.28 **Used a .35/1 coupon for here to pay just $.93. -Yoplait 6-pack of Kids Yogurt $2.24 **Used a $1.50/1 coupon from here to pay just .74 for the six pack! -8 Pack of Dannon Danimals Drinkable Yogurts $2.98 **Used a $1.00/1 coupon from the 8/24 SmartSource insert to pay just $1.98 for the 8-pack. Note: This coupon expired today, just FYI. -2 Rolls of Viva Paper Towels (50 count) $1.00 each **Used (2) .75/1 coupons from the 9/7 SmartSource insert to pay just .25 per roll!! -Loaf of Strohmann Wheat Bread $2.24 **Used a .55/1 coupon from last Sunday's coupon inserts to pay just $1.69 for the loaf. -Can of Campbell's Select Harvest Soup $1.25 a can **Used a $1.00/1 coupon that was sent to me in the mail...I suppose I signed up for it somewhere, but cannot remember where. Paid just .25 for the can after the coupon!!! -Plus I got (2) packs of 100% juice boxes for $1.98 each. **Out of 3 local Walmarts near me....only 1 has these juice boxes for so cheap...the others do not carry them!! With Little Man taking one to school each day....we really go through them....fast!! All in all a great trip Paid just $10.05 OOP !! This week ShopRite has Sizzle & Serve 6 oz. packages of breakfast sausage on sale for just .99 cents. Use the .35/1 coupon (doubles to .70) from this past Sunday's coupon inserts to pay just .29 for the pack!! This week Walgreen's has Oral-B Cross Action toothbrushes for $4.49, and you get $4.49 in Register Rewards....To make a $1 on the deal use the $1.00/1 manufactures coupon from this past Sunday's P&G insert!!! Target this week has 4-packs of Dannon Activia yogurt on sale 2/$4.00. Use the $1.00/1 manufactures coupon from the 9/21 SmartSource insert to pay just $1.00 for the 4-pack!! Know of any other great coupons match-ups for the week?? Well in our back yard we have 2 huge, mega, colossal trees.....They provide great shade in the hot summer months...and we love the benefits of having them!! But....on the one tree was what appeared to be (from us on the ground looking up at the tree)....a smaller branch that needed to be cut off. Word of Advice from Hubby and I.......Tree limbs apprear smaller on the tree then when you are trying to saw them off !!! So what did we do this past Sunday while the kiddies napped?? Hubby and I cut down the branch!! (Well...hubby did most of the sawing, I must admit!) Here is a picture of it on the ground after we spent about an hour sawing it off with loapers. You see we had no intention of doing this on Sunday...and did not borrow his Pop's chain saw ahead of time. After sawing, and cutting the branch off....when it hit the ground we thought the hard part was over...ha! ha! So we thought, anyway! Then we had to cut up the branches and pile them into 8 trash cans...and then put them at the curb for yard waste pick-up. Itwas a lot of work...but the results were well worth it!!! Here are a few pictures of the ground after most of it was cleaned up. You can still see 2 of the filled trash cans in the background!! Target online is having huge Clearance markdowns......lots of items at 75% off and more!! Prices start at just $1.74!! Plus on selected items get FREE shipping with a $50 minimum purchase. Look for the Free Shipping icon next to the items price!! Remember...the holidays are just around the corner!! I was at my local Target this morning and they had lots of associates in many isles marking items down!! I will have to go back in a few days to see if I can find any great deals!! Check out All the Toy Clearance here. All Clearance Deals can be found here! Looking for the biggest bargains.......75% off and more Clearance is here!! Check it out!! Hubby found 2 Men's Claiborne log sleeve button down dress shirts on Clearance...regularly priced $59.50 and $49.98 for just $7.99 each after 20% use your Macy's card and save!!! I found a pair of Denim Bermuda shirts...regularly $38.00...on clearance for just $9.99...after 20% off use your Macy's card and save I paid just $7.99 for them!!! They had lots and lots of Clearance racks!!! Most racks were marked $9.99!! We were a bit short on time so we just quickly browsed a few racks...but if you have a chance to get to Macy's be sure to shop the Clearance racks!!! Some great deals to be had!! As you know I am not a big fan of using credit cards...but this is one instance where they can really save you some cash...just remember it is only a good deal if you can pay the bill in full next month!! How does a $5.00 off coupon at Kmart sound? How about 2 of them...even better, right!! All you have to do is sign up here for Kmart's Email newsletter!! Not only will you receive (2) $5/50 purchase coupons, but know you can be one of the first to know about special savings, shopping ideas, new products, and much more delivered right to your inbox!! Sign up here for a Free sample of Sundance Organic Life Teas...or maybe you'll get some cool stuff instead?? What are Sundance Teas?? They are naturally delicious blended tea and juice drinks. It's another Price Break Week at ShopRite Again....That can only mean good deals, right?? Here are a few of the good buys I came across....he's hoping next week's sale is a little better!!! *Perdue is 50% off this week.....Turkey Burgers are $1.64 a lb. package, Breakfast or Italian Sausage is $1.49 lb., Drumsticks are .99 lb...and the list goes on!! Great time to fill up your freezer!!! *Kraft Mac & Cheese 5-Pack...1/2 Price at $2.24!! Great for lunches!!! * Softsoap Liquid Hand soap Refill (38.5 to 40oz. )....1/2 Price at $2.24!!! See any other great deals I missed....please let me know!! How does new 30 minute dinner meal ideas delivered straight to your inbox each week sound? Pretty good right?? I know for me sometimes the hardest part of making dinner is deciding what to have!! LOL Well, Betty Crocker would like to help you make dinner a little easier. Sign up for the Free Dinner Made Easy email newsletter here.......and just for signing up they would like to send you $10 in coupons!! Hurry.....offer ends 11/30 and coupon booklets are limited!! Just a few good deals, coupon printables, and coupon match-ups I found for the week. Enjoy your weekend!! Baby in the house?? I can remember not that long ago I could never have enough of these!!! Lots of Gerber printable coupons here. Hershey's Bliss Party of Your Dreams Giveaway (Grand Prize $2500 value)...1,000 First Place Free bags of candy given away daily!!! Mmm.....Good luck!! Need Toothpaste?? 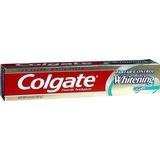 This week Dollar General has Colgate 6.4 oz. tubes of toothpaste On Sale for $1.50 a tube. Use the .75/1 manufactures coupon in this Sunday's coupon inserts to pay just .75 for a tube!! Sale starts tomorrow thru next Saturday! Softsoap liquid hand soap pumps (7.5 oz.) are On Sale this week at CVS for .99 each. Use the .35/1 coupon in this Sunday's coupon inserts to pay just .64 for one. Sale starts tomorrow thru next Saturday! So after the $3.00 automatic savings and my $3.20 in coupons I paid just $3.80 for all 4 items!!!! Less than a $1 each!! They also have Quaker Granola Bars on sale 3 boxes for $5 (You do not have to buy 3 for this price!) I used the $1.00/2 coupon from the 8/10 SmartSource insert to pay just $2.34 for 2 boxes or $1.17 each!! ***Just a heads up at our local Acme after checking out I thought my total seemed a bit high...so I checked my receipt on the way out and noticed that the $3.00 was not taken off automatically like it should of been. So I went up to Customer Service and the employee said that they are having trouble with the $3.00 coming off automatically...and they are working on it. So she refunded me the $3.00. While at the Service Desk there was a display with General Mills coupon savings books for free!! Booklet has over $20 worth of savings so keep your eyes peeled for it if you go!!! I am all about recycling......Did you know that juice pouches are not recyclable!! So when I saw this I thought this was the coolest thing ever......Look what TerraCycle makes out of recycled juice boxes!!! -Lunchboxes...just to name a few!! And the best part is they donate 2 cents per drink pouch that was donated to a local charity!! 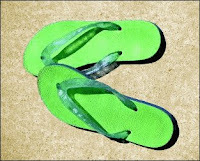 They also turn many other hard-to-recycle items into great usable items as well!! To find a store near you that sells TerraCycle products click here!! Interested in donating pouches or other product containers for your organization...click here to see just what they are looking for!! 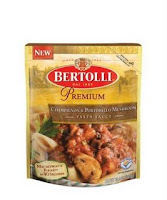 Sign up here for a Free Sample of Bertolli Premium Sauce in a microwavable pouch. Sign up here for a $1.00 off coupon!! Foot Locker is running their Friends and Family sale through Sunday September 28th. Take 30% off most purchases using code LKS1FF89 at checkout. Head & Shoulders Dry Scalp or Smooth & Silky Free Sample. Soft Soap Spa Radiant Body Wash $1.00/1 coupon here...combine with the $1.00/1 Target coupon and save $2.00 off of a bottle of body wash!!! I know my local target has a bottle for $2.79....minus the 2 coupons you can get a bottle for just .79 cents!!! Old Navy had extended Best Friends Weekend through this Sunday 9/28 for Old Navy Cardholders!!! Online use code BFF or bring a friend to the store and say BFF and receive 20% off your purchase when you use your Old Navy Card!! Well Miss Meghan over at Meghan's Mindless Muttering did!! I know, I know it was days ago...but better late than never, right!! So I have to enighten you with 7 random or weird things about me...so here we go!!! 1. I have to have ketchup on a soft pretzel......don't ask....I have been doing it since I was a kid!!! It's delicious!!! 2. I ever have my fingernails painted...but my toes...always, even in the dead of winter!!! 3. My first job was working at a Farm Stand on the side of the road...Man...they were some "Hot" summers!!! 5. I love coffee...I have to have a cup when I wake up...and a cup before bed...Thanks to hubby for making me the best coffee ever...Love Ya Frank!! 6. I have to have ice in ALL my cold drinks.....What's Iced Tea without the ice???? Now I am supposed to tag 7 seven people....but guess what..it's late, and I'm sleepy....so I tag You!!! That's right You!! Be sure to link up and leave a comment on this post so we can stop by your blog to learn a few random things about you!! Show Love to The Basket!!! The trick to saving on making a basket is to shop early...meaning, be on the look out for clearance deals as soon as the mother or father-to-be lets you know that they are expecting!! This way you are not rushed....and have many months to score some great deals!!! I remember one year for a friends birthday I purchased her a basket and filled it with lots of goodies from Bath & Body Works. Since her birthday was in February I stocked up on some great bargains in January at their Semi-annual sale!! I was able to make her a HUGE basket full of goodies...in her favorite scents, of course..for a fraction of the price!! And boy was she ever happy to receive it!! I have also made a few smaller baskets over the years and then also inserted a gift card to a favorite store or restaurant the receiver enjoys! There are many,many options and choices when making a gift basket up....and the best part is that you can create it any way you wish to fit any budget!! Do you ever have any of these....I am hoping I am not alone!! LOL LOL Did you ever get so excited that you found a new recipe in a book or magazine and the picture looked so delicious...you just had to make it? Well, I have to tell you this happens to me quite a bit!! I am always up for trying a new recipe out...something new to add to the dinner rotation is always a good thing!! So a few weeks ago I received the new Kraft magazine in the mail and while browsing through I saw 2 dinner meals that looked like they would be easy and yummy to try. The first one I tried was the Pork Chops with Apples and Stuffing. It looked very good in the picture...as it did when I took the one I made out of the oven....the problem was in the flavor....or lack there of. It was lacking flavor....and let me tell you baked pork chops are not very tasty...and are a bit chewy as well!! I was a bit bummed.....and we ended up eating grilled cheese for dinner that night. A few night later...I tried another first-time for me recipe. This time it was the Chicken Bruschetta Bake......also from the Kraft magazine. The entree' also looked very good when I took it out of the oven as in the picture in the magazine...the problem here was it was very dry!!!! Like the recipe was missing some sauce or something, needed a bit of moisture. Once again for dinner that night we ate egg sandwiches. Another recipe trial that was a bust!! This was the Bruchetts Bake going into the oven. My kiddies are addicted to yogurt...seriously, I am not kidding. Between hubby, myself and the 2 kiddies we eat at least 20-25 yogurts a week!! Since it is a healthy snack.....I really do not mind buying so much of it...especially for the kiddies. So when I tell you I am always on the lookout for a good yogurt sale...know you know why!! So if you too have yogurt lovers in the house...be sure to get your coupons in hand and head to Target or Walmart to stock up!! P.S.- If your local stores accept Internet printed coupons....then be sure to print this $1.50/1 Yoplait Kids Yogurt or Drink coupon and pay just .74-.79 cents for one pack!!! An even better deal!!! We have a Koi Pond in our backyard...this year we added a Water Iris. It is just so beautiful, isn't it?? Lots more Wordless Wednesday's here!! That is my philosophy for how I store cleaning products! I find that if I keep cleaning product all over the house (in an organized fashion, of course) then it is much less of a hassle for me to clean up after a spill, do a quick wipe down, or spray to clean the mirror quickly. There were too many times when I used to find myself reaching for the bottle of Windex after Little Miss decorated the glass with juice and I would have to run down 2 flights of stair for the bottle of Windex and a paper towel. So then I decided lets try it a different way...lets keep a a bottle of everything I use, or may use (in the event of an accident)on each level of our home. So now I stock cleaning supplies in the bathroom closet, above the washing machine, and above the kitchen stove. This way I am ready on-the-spot for any spill, fingerprint, or item to be sanitized in a matter of a few seconds!!! 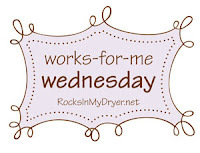 Lots more WFMW over at Rocks In My Dryer!! "All You" Annual Event....Coming Soon Near You?? Look Who Wants to Wish You a Happy Birthday!!! Have You Joined The Party Club?? 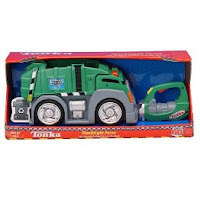 Thomas Deals at Toys R Us!!! Free Ice Cream at Cold Stone!!! Colder Weather Is Coming......Need Soup? ?